When the patient has a deep cavity, it is very colse to the pulp(nerve) and is the cause of hypersensitivity. Sometimes the pup has to be removed. This is called a pulpectomy. 3-MIX (mixed antibiotics) can save the pulp from the infection and decrease the possibility of pulpectomy, and is also very effective for chronic root apex disease. 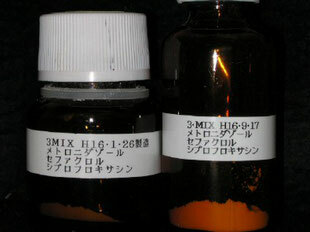 We use 3-MIX throughout root canal treatment free.